With voting closed, who’s your bet for our People’s Champion? The Startups Awards 2014 longlist is here…and what a crop of finalists it contains! Click on any one of the 50 photos below to find out more about each business, their story and the categories they’ve entered. All our 50 longlisted finalists are eligible for our People’s Champion Award – you can vote for your favourite on each individual page, or your can vote at the bottom of this page. You could also be in with a chance of presenting the award to the winner at Kensington Roof Gardens at the awards ceremony on 27 November! From our 50 longlisted finalists, our finalists for the remaining 13 awards categories – including Young Entrepreneur of the Year and Tech Business of the Year – will be revealed on Monday 27 October. These categories are judged by an expert panel of judges. 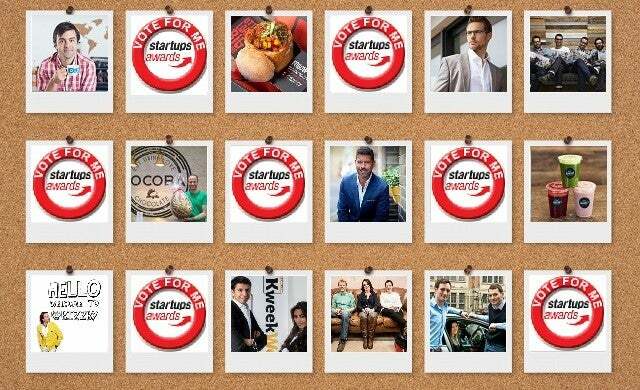 Voting is now closed, the winner will be announced on Thursday 27 November at the Startups Awards ceremony. Stay tuned to find out the People’s Champion of 2014!